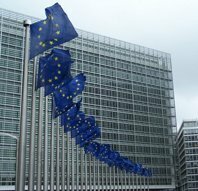 Digital piracy could cost Europe €240bn and 1.2 million jobs by 2015, says a report from the International Chamber of Commerce's Business Action to Stop Counterfeiting and Piracy (Bascap) initiative. The report, prepared by the Tera Consultants, showed that the EU's creative industries contributed 6.9%, or €860bn, to total European GDP, and represented 6.5%, or 14 million jobs. The report is based on academic and secular reports since 2003 on the effects of digital piracy. It found that in 2008 the industries hurt most by piracy were film, TV series, recorded music and software. Together they lost sales worth €10bn and more than 185,000 jobs due to piracy, largely digital piracy. This excludes piracy losses to TV sports broadcasters and sports interests. Tera's forecast is based on data relating to digital piracy and on physical piracy in less developed markets. "The research shows that the illicit use of the internet has contributed to massive piracy of Europe's creative works studied in the report," said Jeffrey Hardy, ICC Bascap coordinator. Digital piracy is sweeping through global markets for music, motion pictures and video, television programming, literature and software, he said. The creative industries suffered "devastating economic losses" and an assault on their ability to compensate artists and furnish legitimate jobs. This week Sony Music signed a record-breaking $270m deal to produce 10 Michael Jackson albums using material recorded before he died. The UK Performing Rights Society, which represents musicians, last week reported a 2.6% rise to £623m in revenues accruing to musicians, largely as a result of strong growth internationally and licensing new online services. Hardy called for an urgent response to piracy by policymakers, consumers and the creative industry itself, he said. The report comes ahead of the European Parliament's vote on the Gallo report on enforcement of intellectual property rights in the internal market, which civil rights campaign group La Quadrature du Net criticised for not addressing the challenges of the internet. Jim Killock, executive director of the Open Rights Group, said, "I am fed up of hearing corporate propaganda being deployed in order to justify intrusions on our rights to freedom of speech, privacy and to a fair trial." He said the Open Rights Group had no truck with infringement of copyright, but it was shameful that anyone from the Labour movement could justify the removal of vital services such as the internet as a punishment.